What if you had access to any song you wanted while you were DJing? “It’s like giving a chef infinite resources for ingredients,” explains Algoriddim co-founder and CEO Karim Morsy. Algoriddim’s popular djay app is getting a major update today that gives users the ability to mix and match millions of tracks on the iPhone and iPad. 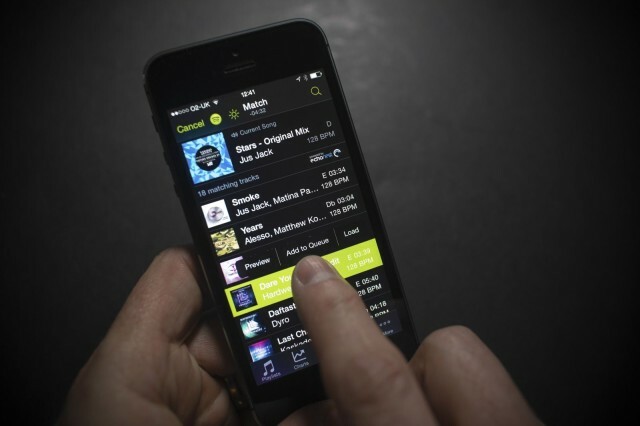 Thanks to a partnership with Spotify, djay users can now play any of the streaming’s service’s 20 million songs. Some fancy audio matching technology also makes it incredibly easy to match and discover new tracks. The world of djing has changed quite a bit since the iPhone and iPad. Companies like Algoriddim released djay, a popular DJ app that has won an Apple Design Award. DJ controllers have started interfacing with these kinds of apps, but a new product called the Vestax Spin 2 is the world’s first MIDI controller created exclusively for djay and vjay, Algoriddim’s two iOS and Mac apps. If there’s any company that gets content creation on the iOS platform, it’s Algoriddim. The Germany-based development firm is behind djay, the most intuitive and polished software of its kind on iPhone and iPad. Music mixing isn’t Algoriddim’s only forte. Back in June, vjay for iPad was announced. 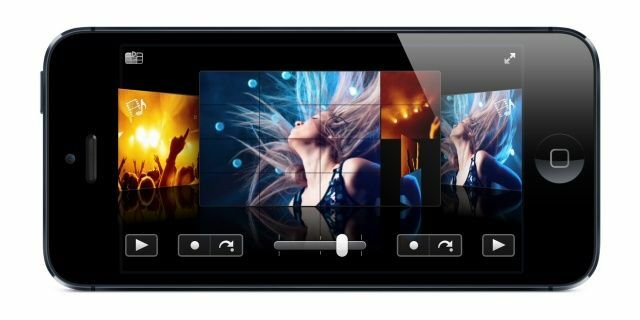 The app brought live video remixing to the tablet experience, and today vjay has arrived on the iPhone. 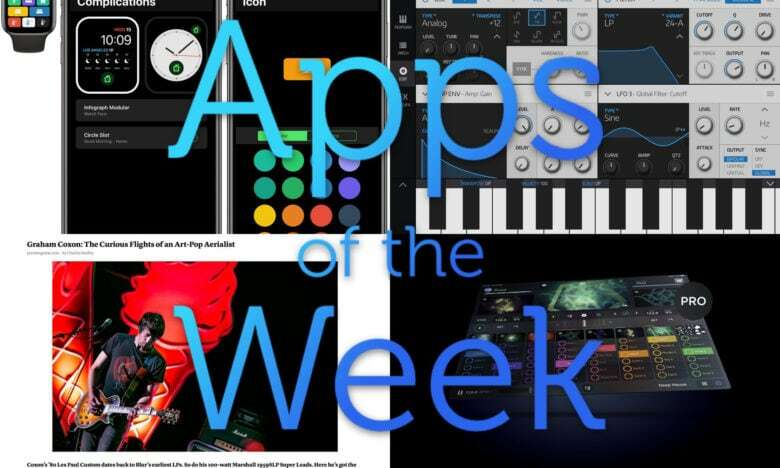 To celebrate the release, Algoriddim is also discounting all its iOS apps for a limited time in the App Store. 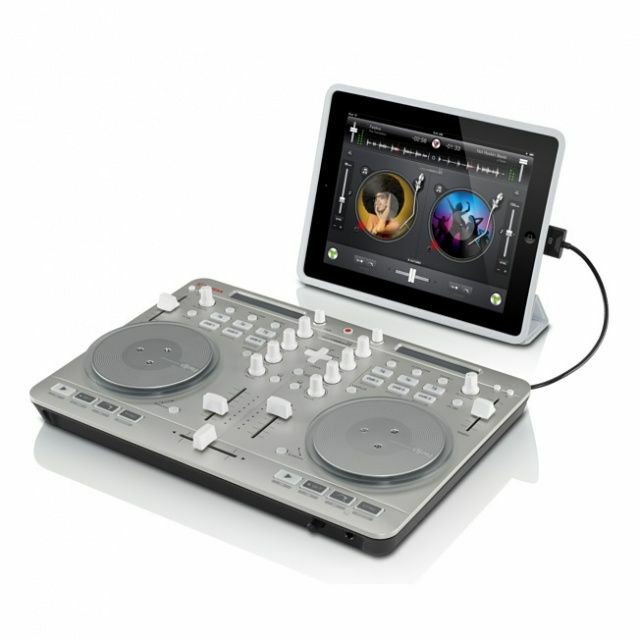 DJing on the iPad just got real. Or something. I'm not really sure if that's how disc jockeys speak. What I do know is that Algoriddim's Djay 1.6 adds some major new features thanks to iOS 6. What kind of features? Oh, you know… Just things like full dual stereo outputs for monitoring and playing different songs at the same time. MacPhun's Color Splash Studio is finally on iOS, and it's leading this week's must-have apps roundup. Heading up this week’s must-have apps roundup is Color Splash Studio, a terrific photo manipulation tool originally built for Mac OS X, which has finally made the leap from Mac App Store to iPhone. We also have a great music video mixing tool from Algoriddim, the guys behind Djay; a camera app that’s perfect for your kids, and more. 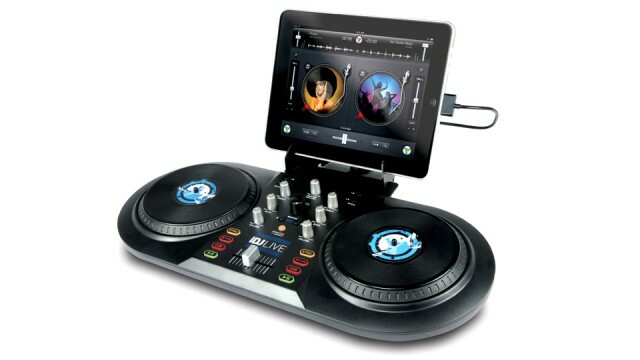 Wow, check out this absolutely bonkers iPad DJing kit by Numark. Sure, it’s not for serious DJs, but for amateurs who want to play at being daftly punk, this is a very cool accessory.